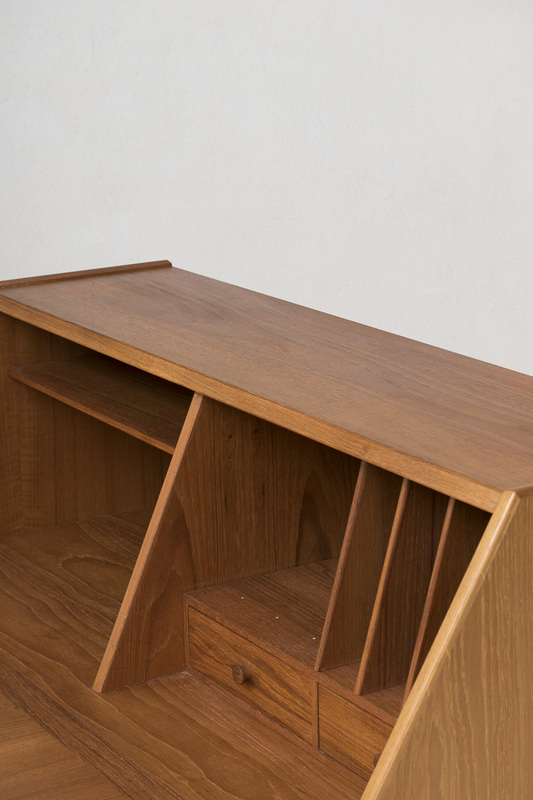 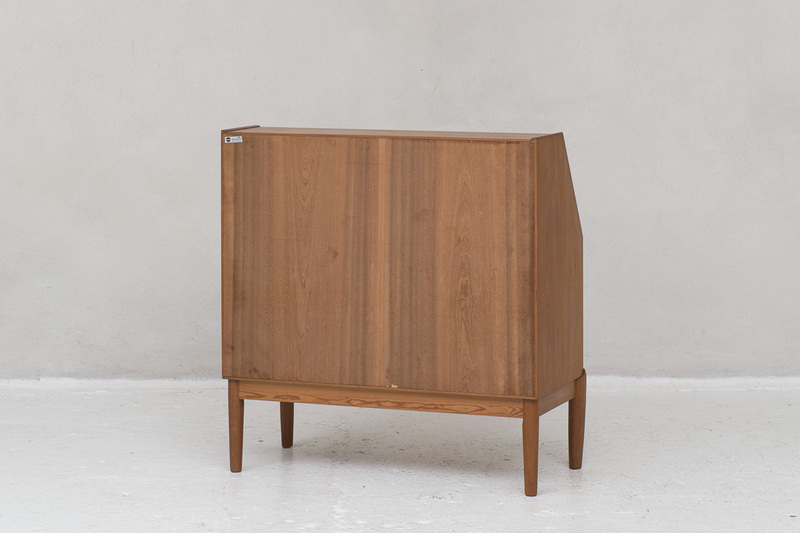 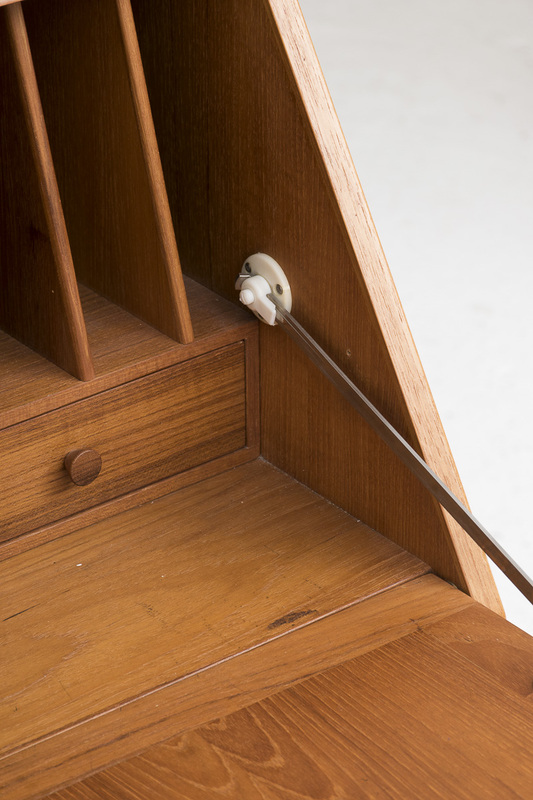 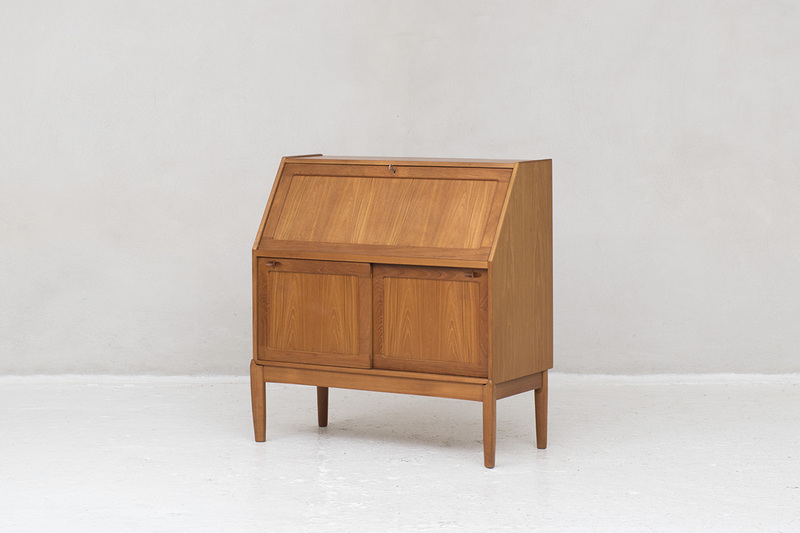 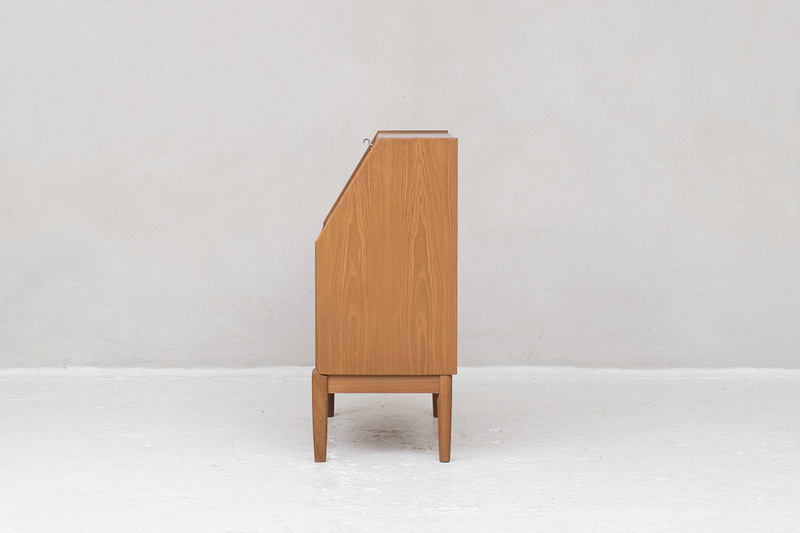 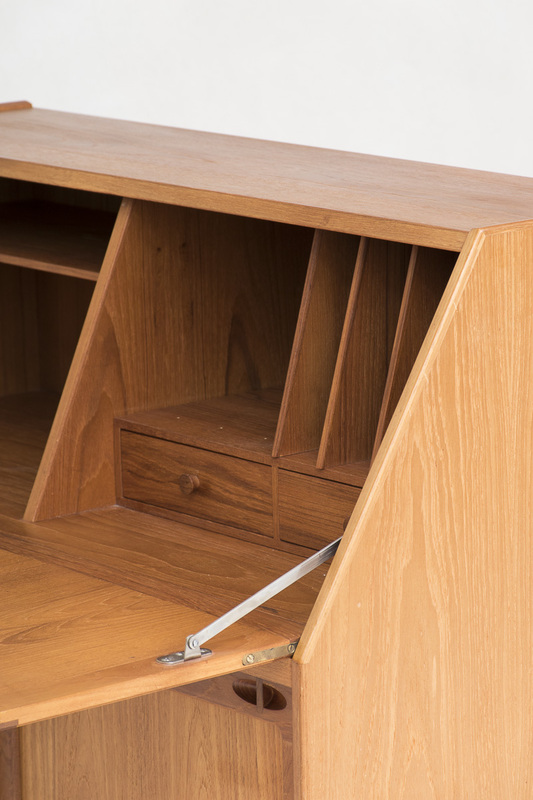 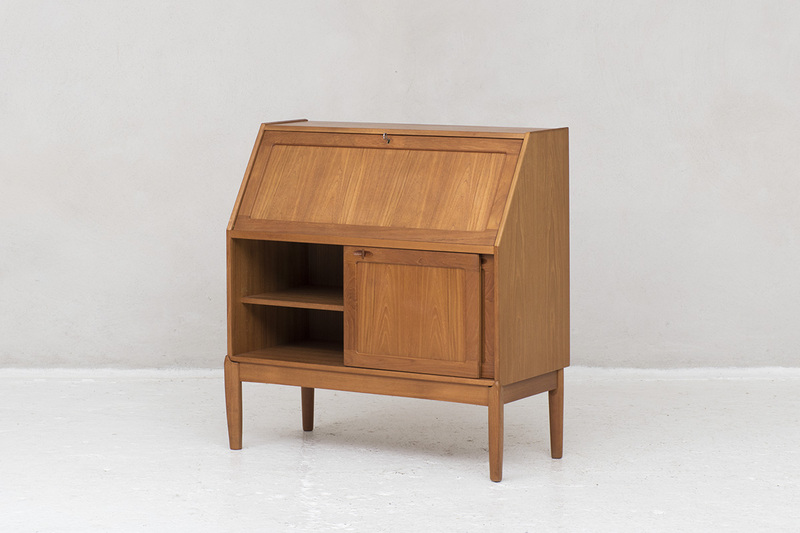 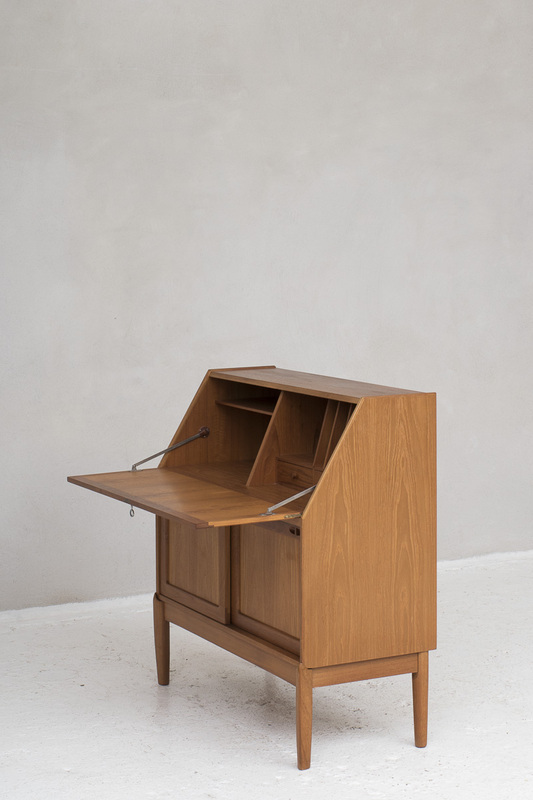 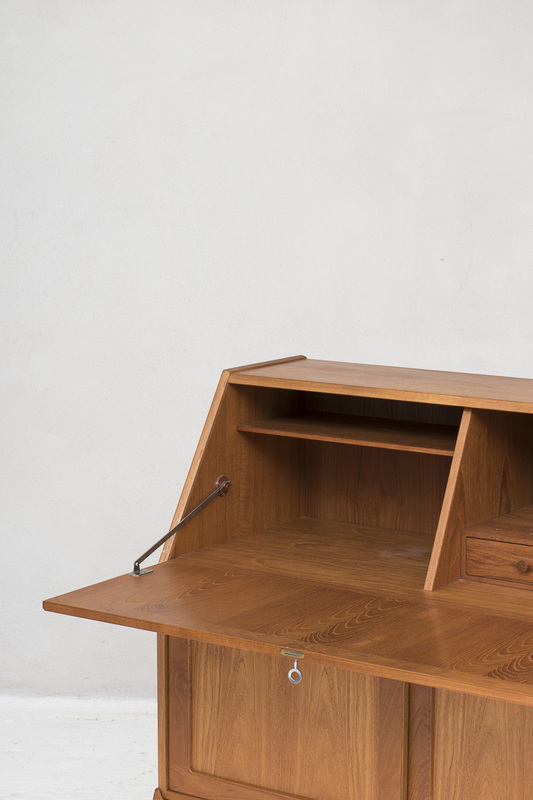 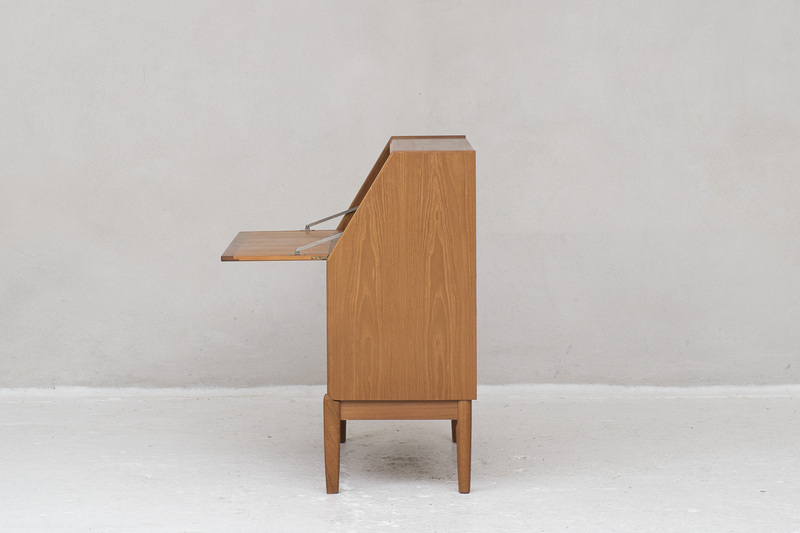 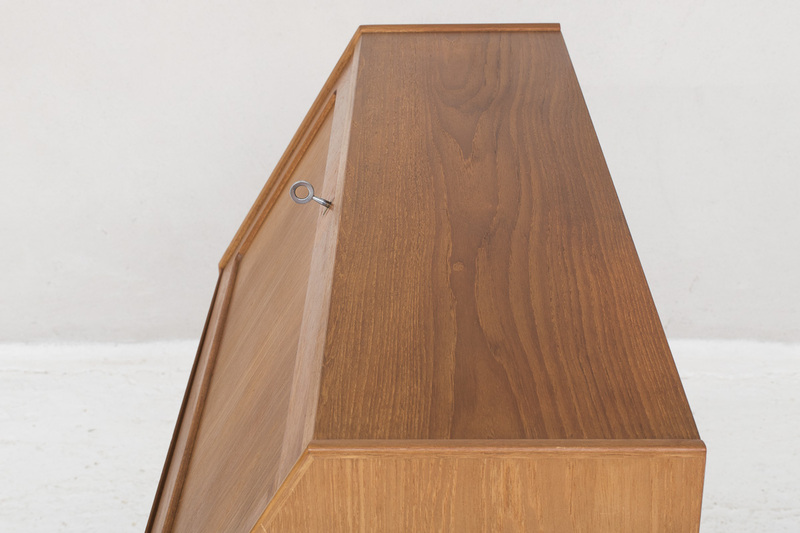 Secretary designed by Norwegian designer Henry Walter Klein and produced by Bramin Mobler in Denmark 1960. 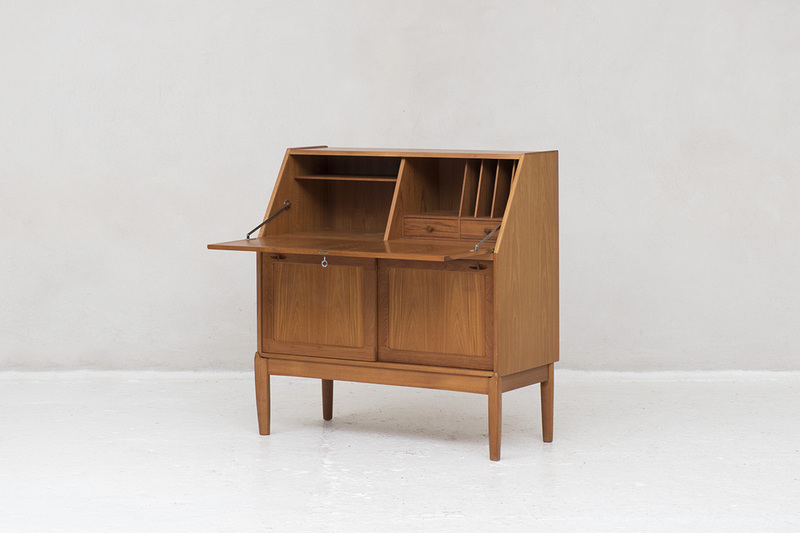 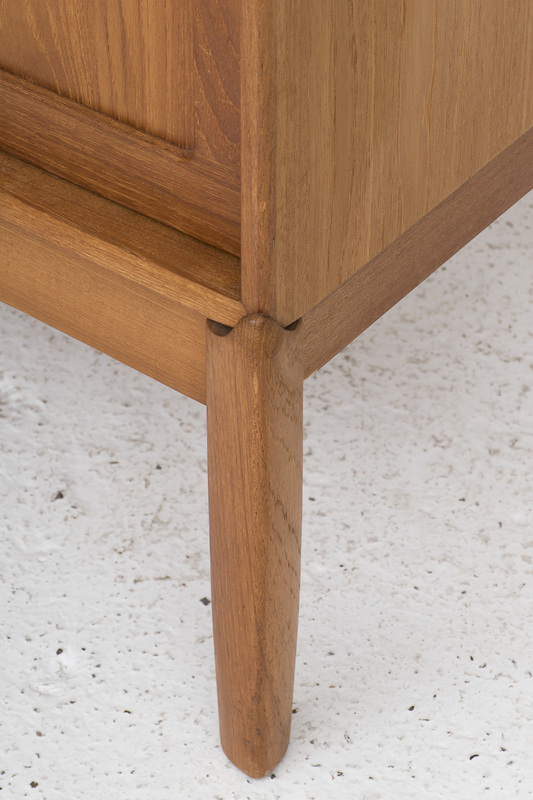 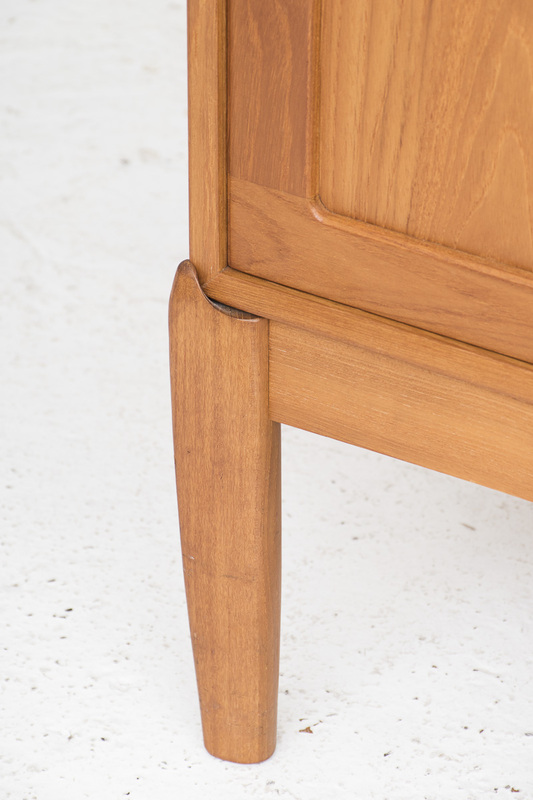 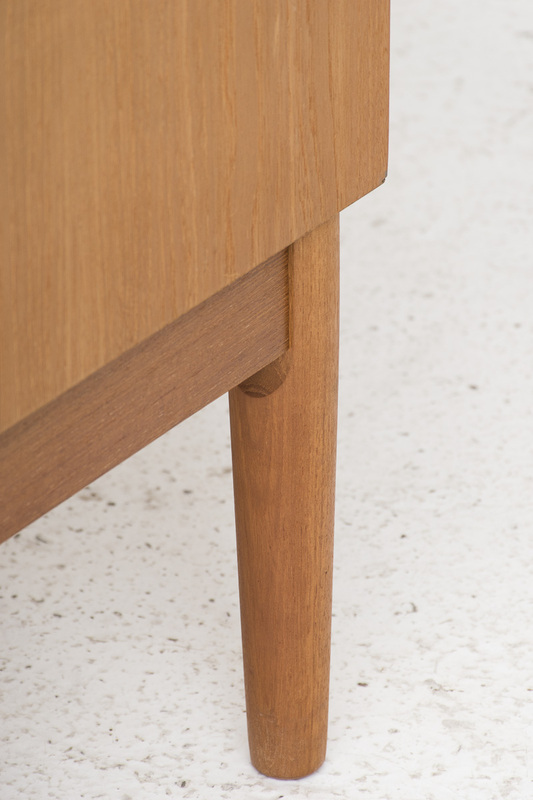 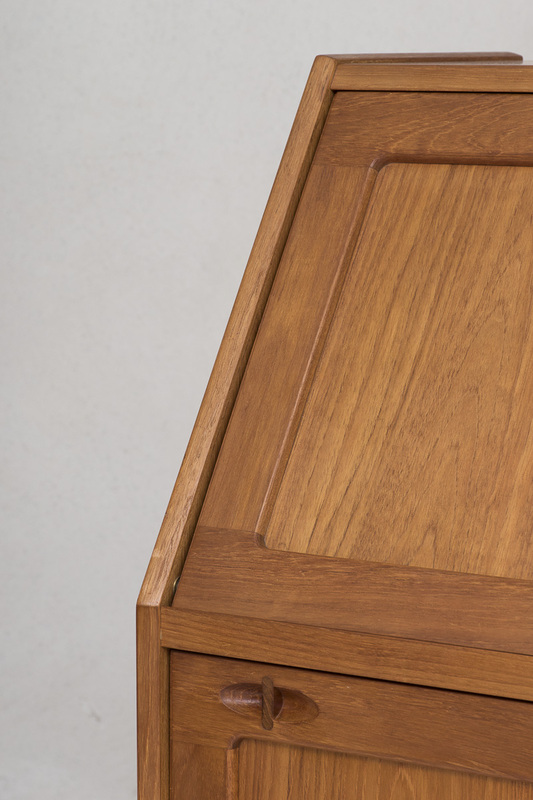 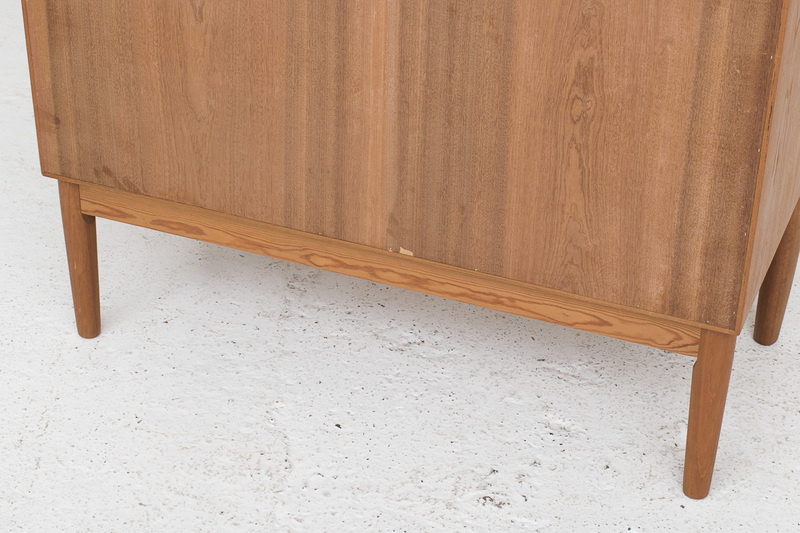 This secretary is another timeless Scandinavian creation: organically styled legs, handles with rounded edges, solid frame in warm teak wood. 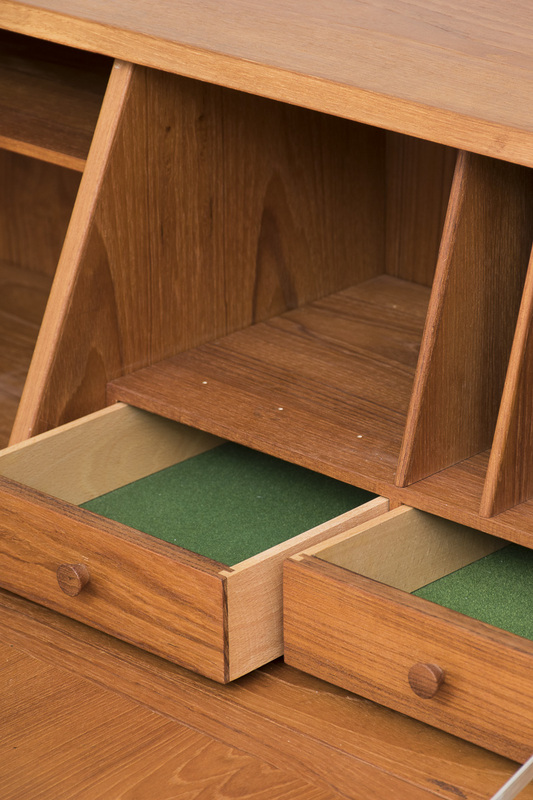 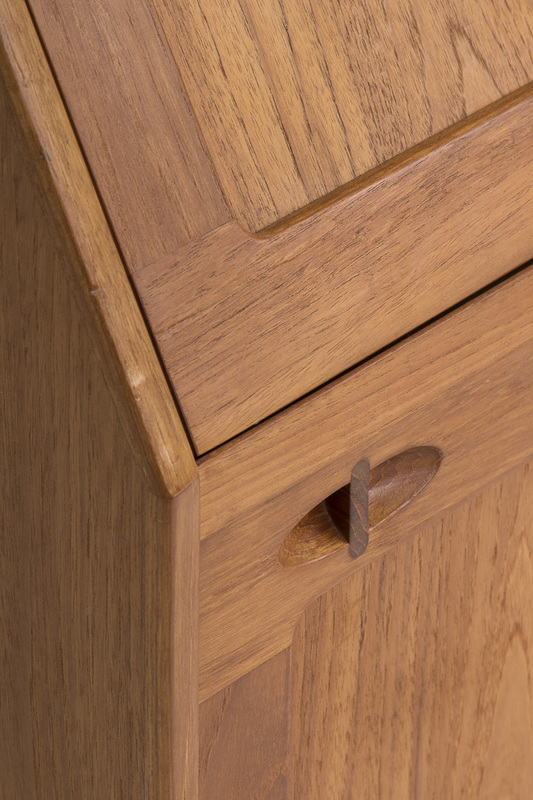 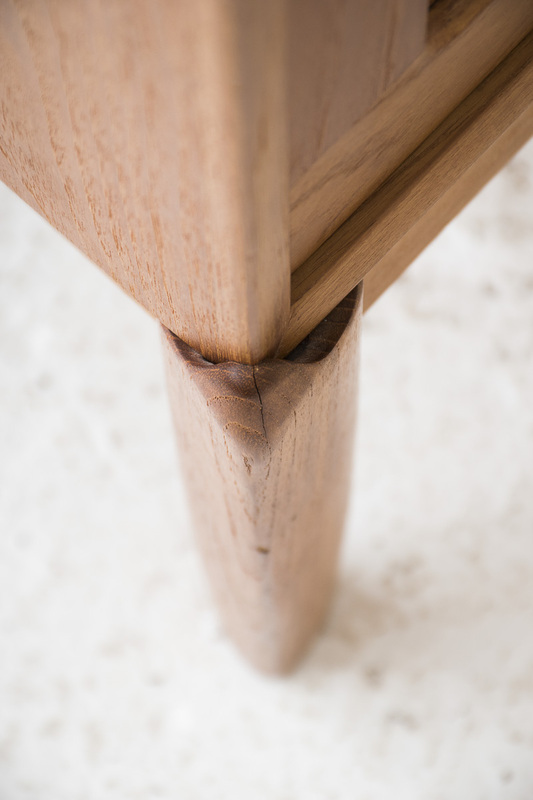 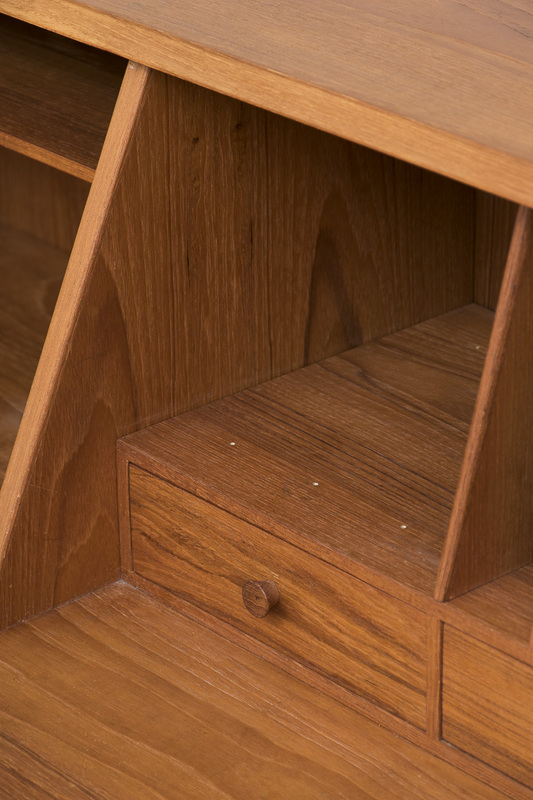 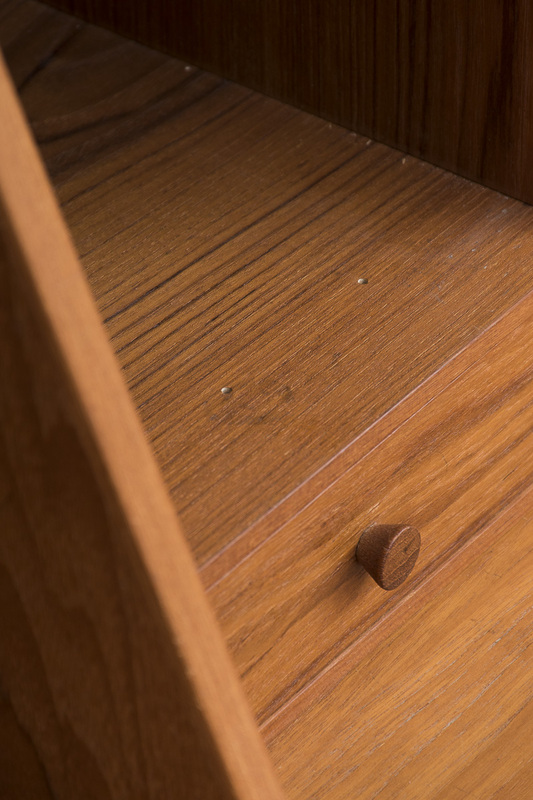 Inside you’ll find a writing table and a cabinet with little drawers and letterboxes. 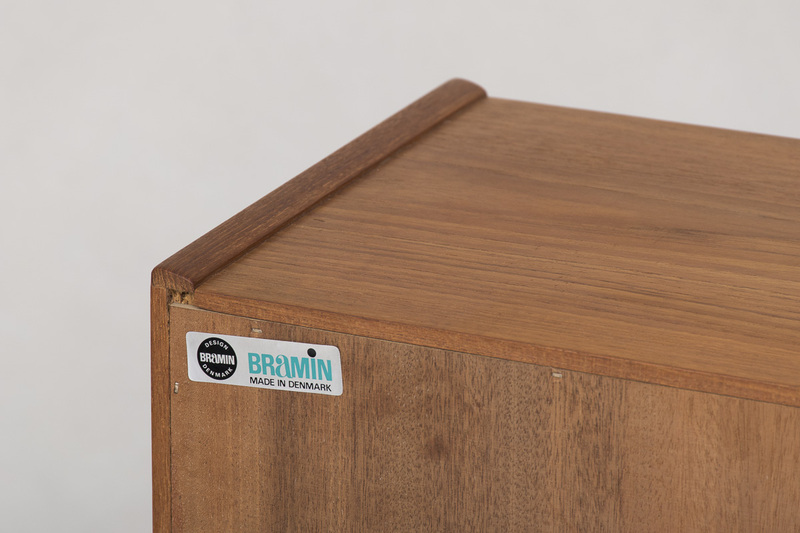 The back carries the Bramin ‘Made in Denmark’ label. 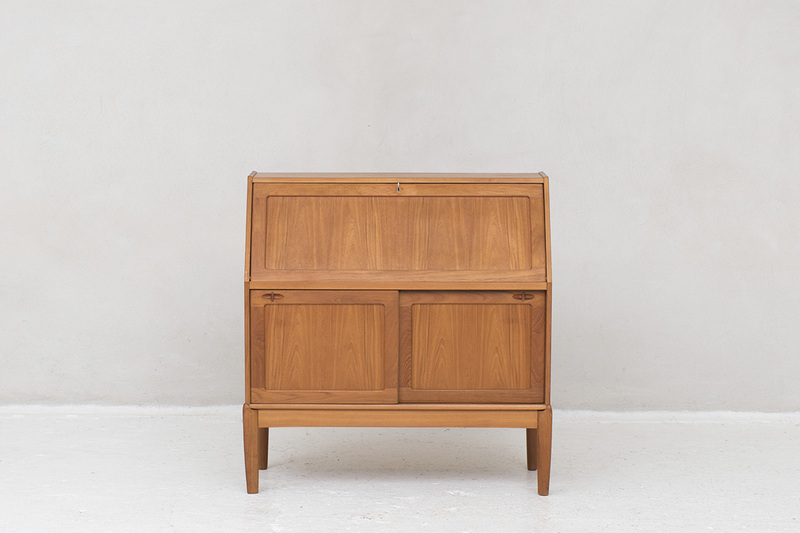 This vintage piece is in near mint condition.